Do you experience heel pain when you take your first steps as you get out of bed in the morning? You may have plantar fasciitis. 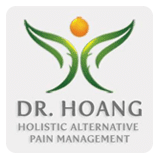 LeTrinh Hoang, DO, and her team at the Center for Natural Family Medicine in the Carthay neighborhood of Los Angeles and Arcadia, California, take a holistic approach to the management of plantar fasciitis and can relieve your pain through osteopathy. Call today or schedule an appointment online. Plantar fasciitis is inflammation of your plantar fascia, the thick band of tissue that runs from your heel to your toes. Normally, your plantar fascia acts as your foot’s shock absorber. But if you place too much stress on the tissue, tears may develop, which can lead to inflammation and pain. Plantar fasciitis also tends to be more common in people between the ages of 40 and 60. Plantar fasciitis is the most common cause of heel pain. If you have plantar fasciitis, you may feel a shocking, stabbing pain when you first get out of bed in the morning or when you get up after sitting for an extended period of time. You may also experience the heel pain after you’ve completed your workout, but not during it. Because you may not feel the pain all the time, you may choose to ignore your plantar fasciitis. But if left untreated, your heel pain may become a chronic problem and affect the way you walk, which in turn can lead to ankle, knee, or back pain. You may be able to treat your plantar fasciitis with rest, ice, and time. The team at the Center for Natural Family Medicine can also help you get relief from your pain through osteopathy. During SCS, your specialist finds the tender point in your plantar fascia and holds it to your bone for a period of time. MFR is aimed at engaging tissue tension or holding the tissue in the direction of the tension to relieve the pain and inflammation. During muscle energy, you use isometric force against the resistance created by your specialist to relieve tissue tension. Your specialist at the Center for Natural Family Medicine may also apply these techniques to other areas of your body, such as your spine or legs, if they’re contributing to the pain you’re experiencing in your heel. For fast and effective relief of your plantar fasciitis, call the office today or use the online booking tool to schedule an appointment.